The price of firewood at the Little Brook Logging and Garden Center in Saugus has risen $50 a cord, to $375 for seasoned wood and $275 for so-called green wood. At Little Brook Logging and Garden Center in Saugus, owner Rick Maltais increased prices by $50 a cord, to $375 for seasoned wood and $275 for so-called green wood, which needs about six months to dry. In past years, Maltais said, he could depend on deliveries of 30 cords of seasoned wood a day; this year he’s getting just 12. Paul Nielsen is charging $385 for a seasoned cord at his Scituate landscaping-supply company, The Green Connection, up from $335 last year. He still has wood to sell, but he doesn’t expect it to last long. Dealers blame the shortage on a lull in home construction outside of Boston, which means fewer lots being cleared and fewer trees available for firewood. In addition, more lumber is going to companies that make wood pellets for use in pellet stoves, which are more efficient than traditional woodstoves. A worker split logs at Saugus’s Little Brook Logging and Garden Center, which is receiving less than half the wood it did just a few years ago. Meanwhile, dealers said the demand for firewood remains strong, despite higher prices and falling costs of other fuels. “Last year was one of the biggest in demand since 2000, and this year seems to be right there,” Maltais said. According to the most recent census data available, from 2005 to 2012 the number of households in Massachusetts that used wood as a primary fuel more than doubled, from fewer than 20,000 homes to more than 43,000. In 2013, Massachusetts homes consumed 587,000 cords of wood, according to the US Energy Department. Household usage can vary from less than one cord per winter to as many as 10, depending on home size and insulation, woodstove efficiency, and whether the wood is supplementing or replacing other heat sources, firewood dealers said. A cord is 128 cubic feet — a stack that is 8 feet long by 4 feet wide by 4 feet high. The growth in the use of firewood came during a period when heating oil prices in Massachusetts doubled, from just under $2 to about $4 a gallon. But the price of heating oil has plunged over the past year, averaging just $2.38 per gallon in Massachusetts last month, according to the Energy Department. Bill McNary, a statistician with the US Energy Information Administration, said the continued demand for firewood may reflect the lingering impact of record petroleum prices several years ago. “If someone has switched to a wood-burning stove during those times of high fuel prices, it may not be an easy process of switching back,” McNary said. 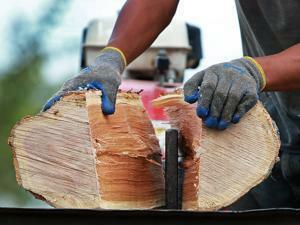 As firewood prices rise, consumer advocates advise diligence when ordering and receiving wood. Charles Carroll is director of the Massachusetts Division of Standards, which handles firewood consumer complaints for the state. He said the most common complaints are for receiving less than a cord of wood. Most wood is delivered loose in a truck, so by the time the buyer can stack and measure it, the dealer is gone. Carroll also noted that dealers should allow customers to visit the dealer’s site to examine the wood. Once the cords are delivered, buyers should take pictures if they suspect they have been shorted or sold something other than what they ordered. Green wood, which has a high moisture content and will not burn well in a woodstove, is typically light in color, heavy, and makes a dull thud when banged against another piece. Seasoned wood should have cracks in the ends and a darkened or grayish color. Carroll said seasoned wood sounds “like bowling pins” when knocked against another piece and weighs much less than green wood. With green wood running about $100 less per cord than seasoned, firewood dealers said the best way to save money is to buy green in the spring, stack it, and season it in the summer sun. 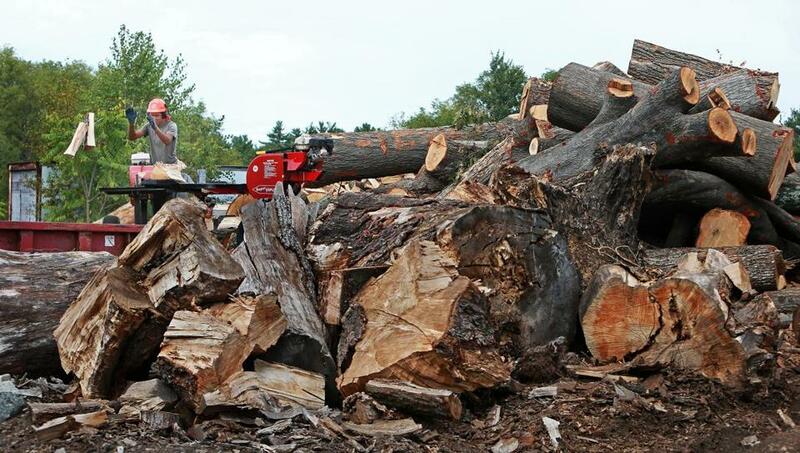 “The earlier you buy it, the better off you are,” said Morton, of Steven’s Firewood in Groton. Lorne Bell can be reached at lorneabell@hotmail.com.